I remember those moments trying to get my daughter to sleep. She was never a napper or a big sleeper. I used to keep cranking the little music on her mobile over and over and over. For parents that pray for sleep and babies that need a little luz de noche, Rockabye Baby! Lullaby Renditions of Juanes is out May 3rd on CMH Label Group. Featuring gorgeous, lullaby versions of his best-known and beloved cuts, the album swaps the guitar solos and red-hot heat of Juanes' original tracks for beautiful bells and glockenspiels. The perfect way to introduce babies to one of the most iconic Latin artists of all time, 'Juanes' is as enrapturing as a sea of sweet rain drops. 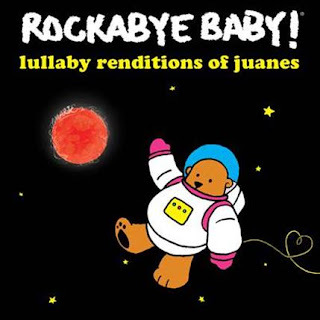 A thirteen-song collection spanning nearly two decades of hits, Lullaby Renditions of Juanes takes ‘una hora de dormir normal’ to the next level, and is Rockabye Baby's first-ever release in the Latin music world. Yo recuerdo esos momentos tratando de hacer dormir a mi hija. Ella nunca dormia por mucho tiempo y yo tenia que poner la musica dela cuna cada rato. Para los padres que a Dios le piden por un poco de sueño y los bebés que necesitan un poco de luz de noche, Rockabye Baby! Juanes rendiciones de cuna de CMH Label Group saldrá a la venta el 3 de mayo. Con hermosas versiones de canción de cuna de sus melodías más conocidas y queridas, el álbum cambia los solos de guitarra y el ritmo al rojo vivo de las canciones originales de Juanes por bellas campanas y xilofones. La manera perfecta de presentarles a los bebés uno de los artistas latinos más emblemáticos de la historia, 'Juanes' es tan cautivante como un océano de gotas de agua dulce. Juanes rendiciones de cuna es una colección de trece canciones que abarcan casi dos décadas de éxitos y lleva una hora de dormir normal al siguiente nivel, además de ser el primer lanzamiento de Rockabye Baby que incursiona en el mundo de la música latina. Parte de CMH Label Group ubicado en Silver Lake, California, Rockabye Baby ha convertido las melodías de Lady Gaga, Beyoncé, Justin Timberlake, Tom Petty, Metallica, Taylor Swift y Nirvana, entre otros artistas, en suaves rendiciones de cuna instrumentales. Hasta la fecha se han vendido más de 1.8 millones de discos compactos de Rockabye Baby, sus canciones se descargaron 2 millones de veces y tuvieron más de 500 millones de reproducciones de casi 100 lanzamientos. La serie recibió los elogios de Billboard, Entertainment Weekly, HuffPost, Pitchfork, Stereogum, Vice Noisey y NPR Music, que la alabó como una colección “…totalmente realizada y orquestada con gran destreza”. 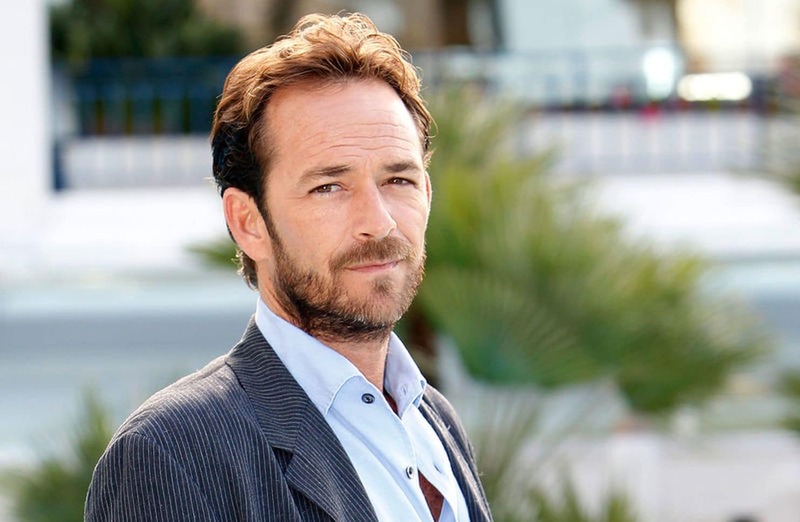 Luke Perry. I remember the 90210 days so vividly. I never missed an episode. Dylon McKay was one of my favorite characters. He was such a bad boy. Were you a fan? RIP Luke. 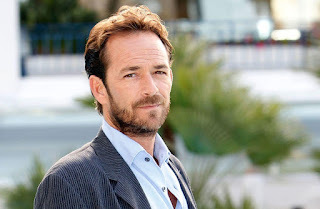 I have to admit that it was a shock to hear that Luke passed away. At 52, he was way too young. When I read that his stroke was from an "ischemic cerebrovascular accident" it terrified me even more. A stroke is when clot blocks a blood vessel and prevents oxygen and blood from reaching the brain. As a stroke survivor, we always worry about another potential clot. My stroke was a T.I.A - Transient Ischemic Attack, also known as a mini stroke. TIA's may be a sign of a full blown stroke ahead. As the single mother of a young daughter, this freaks me out even more. Unfortunately, many people are not aware of the symptoms of a STROKE as they are of a Heart Attack. I will admit, prior to my stroke, I had no idea what the signs and symptoms were. I remember that day vividly back in May 2007. Even as my colleague was driving me to the hospital we were joking around and I had no idea what was happening. While in the hospital after running many tests they also found a hole in my heart called a PFO - Patent Foramen Ovale. A PFO is a hole between the left and right upper champers of the heart. We all have this "hole" in uterus and generally it closes naturally after we are born. In my case, we think my TIA was caused by the high dose of birth control I was put on while going through IVF- InVitro Fertilization. Did you know there are about 274 people that die of clots every year? I encourage you all to recognize the signs and symptoms of a blood clot. Please do yourself and your loved ones a favor and learn all about it at Stop The Clot . When you talk to someone about healthy eating and drinking protein shakes you sometimes get that look when someone is making a "eeeww, that's disgusting" look. But health shakes can be absolutely delicious especially when you can be really creative with what you put in it. 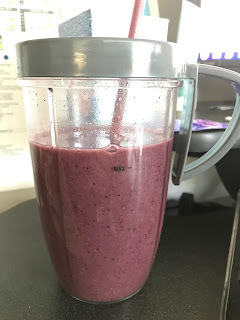 I'm giving you five reasons why it's a good reason to drink protein shakes but honestly I could give you so many other ones especially because you see and feel the amazing results from it. 1. My protein shake has about 16 grams of protein per drink which includes fruits and veggie based ingredients. We're talking about chia, green tea and pomegranate and maca to name a few. These super ingredients are great in helping your body react to stress and enzymes that support gut health. 2. Helps curb those sugar cravings. When you're on a health kick the last thing you need chasing you around are your sugar cravings. If you have no will power then you're in trouble. When I drink my shake, all of those cravings just go away. That is not to say that I don't treat myself and eat that cookie once in a while. So the next time you start reaching for that bag of cookies maybe you could make a delicious shake instead. 3. Helps increase your veggie intake. If your like me and not a big veggie eater then drinking your vegetables can be a lot easier. Have you tried throwing some spinach in there or perhaps cauliflower rice to make a nice creamy shake? 4. No artificial anything. When I decided to start my journey on clean eating, I knew this protein shake was for me. I know I am nourishing my body with good stuff. 5. Great source of fiber. We know how important fiber is for our diet. It keeps us fuller and it keeps our system flowing. Because we feel fuller when we add fiber to our diet we are less likely to hit the vending machine because we think we are hungry. Drinking a protein shake provides so many other health benefits. For me, I noticed a difference after about two months of drinking my super foods shakes. Back in September I was able to get off my thyroid medicine that I had been on for many years. Dealing with Hypothyroidism wasn't easy. It was a constant roller coaster ride. Legally I can't say that drinking my super foods protein shakes "cured" my Hypothyroid issues but I can honestly say that since I started drinking my shakes I've been able to stay off my medicine for good and I feel much better than when I was taking my thyroid medicine. Drink up my friends! Share your shake recipe below so we can find new ones to try. You should know by now that I'm a HUGE Marvel fan. I think I've seen just about all the movies - many many times. I'm so excited for the release of this one. I will have to watch Avengers Infinity War again before April 26. I remember when I was at the movies, the place was absolutely packed, every seat was sold out and I'm sure it'll be the same with this one. 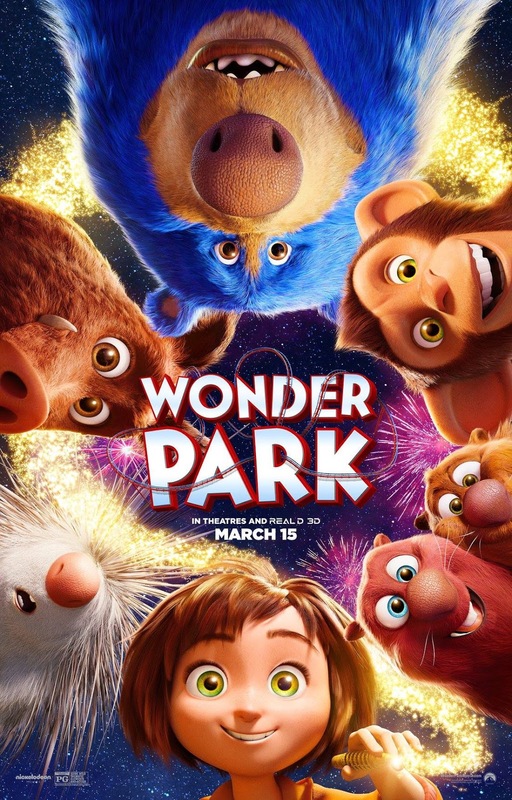 Have you seen the previews for the new Wonder Park movie? 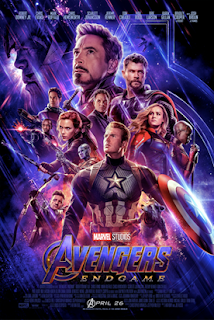 It looks pretty awesome and my daughter and I are so excited to see it. It's a fun adventurous movie that will tap into your child's imagination. Wonder Park is in theaters March 15, 2019! Wonder Park tells the story of a magnificent amusement park of a wildly creative girl name June comes alive. One magical day, June is running through the woods to find her way home where she discovers an old roller coaster car and climbs inside. She suddenly finds herself in Wonderland, an amusement park she had created in her mind and put aside. All of he rides and characters are brought to life but are falling into disarray without her. Now, with the help of her fun and lovable park characters,m June will have to put the wonder back in Wonderland before it is lost forever. Do you remember when you were a child and how your imagination ran wild? When we tap into our imagination we can go anywhere and create amazing things. After watching the trailer how could you not be excited to see this fun, adventurous movie. My daughter and I had a great time putting together the amusement park building activity and getting creative with the amazon boxes. My daughter has quite the creative imagination and I always love to see what she comes up with or listening to her stories when she's playing with her dolls and stuffed animals. It's these moments that I treasure forever as she's growing way too fast. 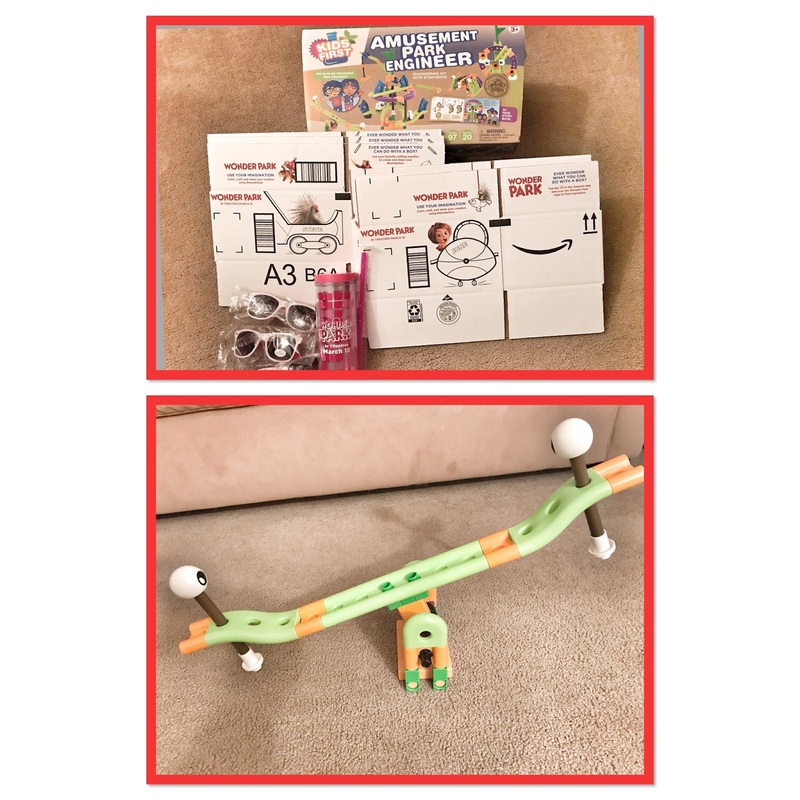 With the boxes we received, my daughter wanted to make a roller coaster and pretend that she was also creating her own Wonder Park adventure. She didn't have much time to be as creative as she wanted to be but she put it together, grabbed her little friends and enjoyed a great roller coaster ride. As you can see, everyone had a WONDER-ful time at the park. We are so excited to see this movie. If your kids are adventurous and creative then this is a must see for your family!! Happy National Pancake Day! 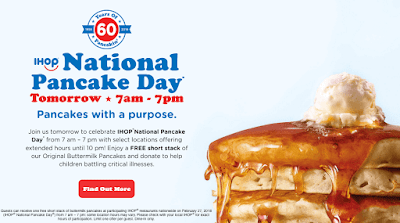 Today IHOP is Flip it Forward for Kids. If you love pancakes and IHOP as much as we do then head over to IHOP and grab your free short stack of original buttermilk pancakes. Although the pancakes are free, please consider making a donation to help children battling critical illnesses. It's only until 7 PM tonight so go, go go!!! When I started running I didn't know much about what I should eat pre and post workout. I just knew that I needed a run and would lace up and head out. I've schooled myself since then. Fueling your body before a workout is just as important as fueling it after a workout. It gives your body what it needs to recover and build stronger muscles. Rule of thumb is to try and eat between 30 minutes to 1-2 hours before your workout and don't forget to hydrate. If you're like me and get up wicked early and don't like to eat before a workout then make sure to eat something right after your sweat sesh. I try and meal prep as much as I can and my favorite things to do are bacon egg muffins. You can make extra and freeze them. My other favorite is sweet potato hash. Delicious sweet potato and eggs, oooh so good. I'll post the recipe soon. What are some of your favorite workout snacks?